The Camp Fire, which started a week ago today in the foothills northeast of Chico, has devastated the communities of Paradise and Magalia. As of this writing, the fire has consumed nearly 150,000 acres and destroyed more than 10,000 structures. Sadly, the fire has also claimed the lives of at least 56 people. The local impacts, obviously, have been overwhelming. Over the last several days, those of us downwind of the Camp Fire have begun to feel its effects, as well (although certainly not to the extent of the local community). The UC Davis and CSU-Sacramento campuses have been closed all week. Closer to home, the Rocklin and Nevada County campuses of Sierra College will be closed tomorrow. My daughter's high school soccer practices have been curtailed, and high school football playoffs throughout the region will be postponed until after Thanksgiving. Today, my morning started with feeding livestock guardian dogs and checking sheep on the way into the office. 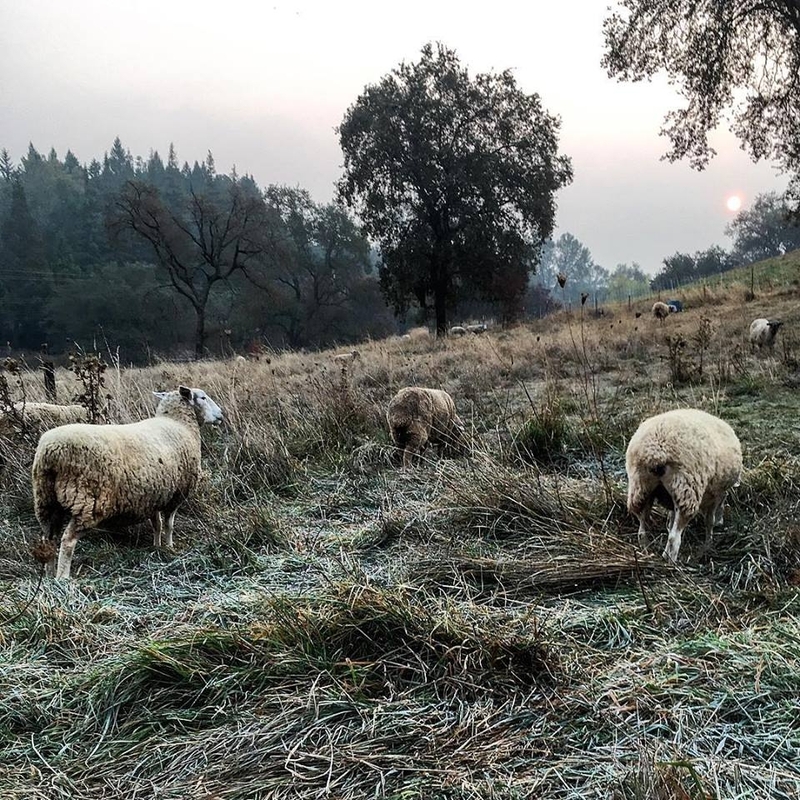 While our weather continues to be dry, our morning temperatures have finally become more seasonable; this morning there was frost in our pastures. I had a hard time wrapping my head around the fact that we had freezing temperatures AND wildfire smoke in the middle of November. Once I arrived at the Auburn UCCE office, I discovered that our air quality index for Auburn for fine particulate matter was well over 200 - into the "very unhealthy range." What looked like normal mid-November tule fog in the foothills was actually smoke from the Camp Fire. Wildfire smoke has well-understood impacts on human health (hence the school closures and athletic cancellations). Those of us who raise should also be aware of the potential impacts on our animals. Unlike me, our sheep are not able to stay inside and breath filtered air. Avoid activities that require animals (livestock, horses, or working dogs) to substantively increase airflow into and out of the lungs - in other words, limit exercise. Provide plenty of fresh water. Limit dust exposure - put off working animals in the corrals if possible (or at least make sure to wet down corrals beforehand). If possible, give livestock 4-6 weeks to full recuperate. During this period, watch for signs of respiratory infection, fatigue or weakness, or loss of appetite. With our sheep, we'll plan on taking extra time moving them in the next couple of days. We'll also keep a close eye on our dogs (both herding dogs and livestock guardian dogs). Finally, it's important to think about our own health during these conditions, too. For most of us who raise livestock, the well-being of the animals comes first. If the sheep need to be moved, we move them - which involves moving fence, packing electric fence equipment, and moving water troughs. But this kind of strenuous activity can affect us just like it does our animals. We need to pay attention how we're feeling - and remember not to overdo the physical activity. Hopefully the rain that is in our forecast for next week actually materializes! For real-time air quality information, check out the Spare the Air website. 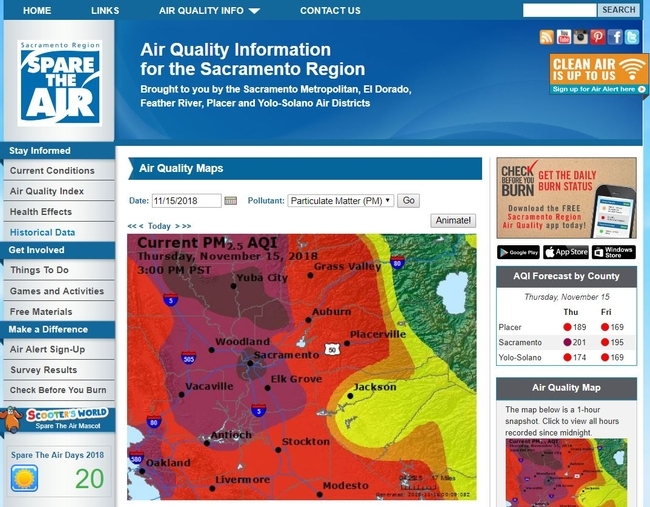 Go to http://www.sparetheair.com/aqmaps.cfm for air quality updates for our region.